The question often arises why when creating a PDF-X/3:2002 file in Adobe Acrobat, white lines often appear in the preview when there are no lines at all in the file. 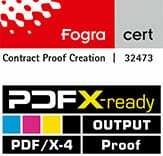 The answer is simple: In contrast to current PDF printing standards such as PDF/X-4:2010, which is exported as PDF 1.6 standard, the PDF-X/3:2002 standard often required by printers uses PDF format 1.3, in which transparency is prohibited. As a result, when you create drop shadows in Adobe InDesign, for example, they are converted into rectangular images. If such drop shadows are still used on background images, the white lines appear, which run horizontally and vertically through the PDF at the shadow points. But why do these lines disappear in print and are not visible in other applications like MacOS Preview? Acrobat has a preview that applies anti-aliasing to vector elements to make edges as smooth as possible. However, this setting also affects paths and masks that are not actually visible at all. The pixel images of the reduced transparencies are therefore slightly blurred. And this is exactly where the white lines of the blur appear, which are actually zero in size and therefore disappear when printed on postscript-capable printers. Not PS printers partially print the screen display, whereby the lines remain disturbingly. Most graphic artists know the effect, have postscript printers and simply live with it. However, if you are very annoyed by the white lines or if they also appear in the printout, you can simply switch off anti-aliasing in the Acrobat preferences. 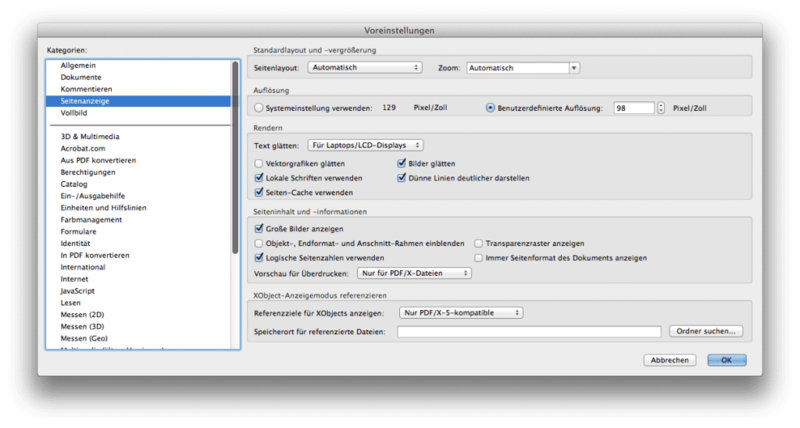 Under Acrobat > Preferences > Page Display you can simply deselect the checkbox “Smooth vector graphics”. This makes the edges of vector data slightly more pixelated, but the white lines of anti-aliasing disappear immediately. Affordable Proof Shipping, now worldwide. Is a proof possible on special paper such as publication paper?